Naguib Mahfouz, the Egyptian playwright and screenwriter who won the 1988 Nobel Prize in Literature and was widely regarded as the Arab world’s foremost novelist, died today, Reuters and The Associated Press reported. He was 94. Mr. Mahfouz had been hospitalized and in declining health since suffering a head injury in a fall at his home in July, the agencies reported, citing Dr. Hossam Mowafi, who supervised Mr. Mahfouz’s treatment and who announced his death. Mr. Mahfouz, a slender, modest, shy man who once described himself as “a fourth- or fifth-class writer,” was often called the Egyptian Balzac for his vivid frescoes of Cairenes and their social, political and religious dilemmas. Critics compared his richly detailed Cairo with the London of Charles Dickens, the Paris of Émile Zola and the St. Petersburg of Fyodor Dostoyevsky. He was the first Arab writer to receive the Nobel Prize, and while many of his works had been translated into French, Swedish and German, he was largely unknown in the United States and Europe in 1988. Only about a dozen Mahfouz books had been rendered into English, and many were out of print. Peter Theroux, the American translator of several major Arab novelists, wrote about completing a new version of “Children of the Alley” in 1996: “Readers of Mahfouz in any language are in thrall to his magic. The warmth of Mahfouz’s characters, the velocity of his storytelling, his gift for fluent dialogue and telling details are unique in modern Arabic literature.” Until winning his $390,000 Nobel Prize, much of which he said he gave to charities, Mr. Mahfouz had struggled financially despite the popularity of his books. For many years he supported himself and his wife and two daughters by working for Government ministries. During the 1960’s and 70’s, he was the head of the State Cinema Organization, which is responsible for raising money, for deciding which movies should be made and for censorship. About 30 of his own novels and short stories were adapted, including one that won a national film prize in 1962. For his censorship work, he was often criticized by Cairo intellectuals, who also accused him of being self-serving and subservient to the state. While he was widely read in Egypt and other Arab nations long before he won the Nobel Prize, Mr. Mahfouz had many enemies. Islamic fundamentalists considered some of his work blasphemous, and political opponents resented his support for Egypt’s peace treaty with Israel in 1979 and his earlier criticisms of President Gamal Abdel Nasser, who seized power after a 1952 coup. Many of Mr. Mahfouz’s books were banned in other Arab countries, and a 1959 novel, “Children of Our Alley,” whose theme is man’s search for spiritual values, was banned in Egypt at the behest of Islamic theological authorities because it portrays Mohammed as an all-too-human womanizer. It also has characters based on Adam and Eve, Moses, and Jesus. Like many Egyptian intellectuals, some of whose works have been denounced as disrespectful to Islam, Mr. Mahfouz was put on a “death list” by Islamic fundamentalists who were believed responsible for hundreds of terrorist killings in Egypt and abroad. In 1989, Mr. Mahfouz joined scores of literary figures in defending Salman Rushdie after Ayatollah Ruhollah Khomeini condemned one of his books, “The Satanic Verses,” as blasphemous and offered a reward for killing Mr. Rushdie. But in 1992, Mr. Mahfouz distanced himself from Mr. Rushdie and criticized his book as “insulting” to Islam, though he also said that the death threats against him were wrong. Mr. Mahfouz was stabbed in the neck on Oct. 14, 1994, by an assailant who fled in a car. The authorities said the attack might have been carried out by Islamic militants who had declared him an infidel. The police had offered him protection, but Mr. Mahfouz, who condemned “cultural terrorism” by Islamic fundamentalists, refused it. Though he continued to write in his later years, Mr. Mahfouz was in failing health. He was diabetic and nearly blind, and lived quietly in an apartment overlooking the Nile. After the 1994 attack he largely abandoned his old habit of walking daily to a coffeehouse to meet friends, and to the offices of Al Ahram, the newspaper for which he had written occasional columns. And the injuries he suffered in 1994 made it difficult for him to hold a pen or pencil. Still, he said, every day a writer must write something, anything. In a 2002 interview, he said he could still manage to write vignettes of his dreams. “They are very, very short stories, like this,” he said, indicating the tip of his index finger. 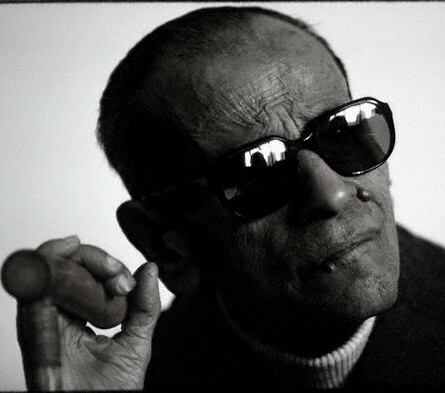 Asked in the interview whether he had any living contemporaries as friends, he answered with traces of a grin spreading on his face, “One or two — but they have forgotten they belong to my generation.” Naguib Mahfouz was born in Cairo on Dec. 11, 1911, the youngest of seven children of a minor civil servant. His early childhood was spent in the old city’s Gamaliya quarter, the setting of many of his books, and he came of age in an era of intense nationalist activity against British rule. He studied Arabic literature in high school and cultivated a wide range of literary interests while studying philosophy at the University of Cairo, from which he graduated in 1932. He read Tolstoy, Dostoyevsky, Chekhov, Proust, Mann, Kafka and Joyce and the playwrights O’Neill, Shaw, Ibsen and Strindberg. He began writing short stories, 80 of which were published in magazines — 50 others were apparently destroyed by the writer — and in 1938 he published his first collection, “A Whisper of Madness.” A year later, his first novel, “Games of Fate,” appeared. It was a thinly veiled allegory about the struggle against British occupation, but was set in ancient Egypt to get around the censors. After several such “historical” novels, he turned to a new genre, the realistic novels of the 1940’s and 50’s for which he is best known. “The Cairo Trilogy,” whose three volumes took 12 years to complete, appeared in the late 1950’s and is regarded as a masterpiece of the Arabic language. It tells the story of Egypt through the eyes of three generations of a middle-class Cairo family, from World War I through the 1952 coup that overthrew King Farouk. Each of the volumes — “Palace Walk,” “Palace of Desire” and “Sugar Street” — is named for a Cairo street, and the tragedies and fortunes of the family parallel the nation’s struggle for political independence. Later works by Mr. Mahfouz — “The Thief and the Dogs” (1961), “Chatting on the Nile” (1966) and “Miramar” (1967) — were experimental, sometimes given to stream-of-consciousness, and critical of either the coup that eventually made Nasser the ruler or of his dictatorial rule. Though other writers were jailed for writings of that kind, Mr. Mahfouz never was. Women play important roles in many Mahfouz stories, and often illuminate the inferior status of women in Egypt and the wrenching social changes under way. In one story, a girl exploited as a prostitute fights back; another story tells of a home where women are not even allowed to look out a window for fear of being seen, until a modern woman marries into the family and begins to demand equal rights. Mr. Mahfouz supported President Anwar el-Sadat and the Camp David accords that led to the Egyptian-Israeli peace treaty, and he was denounced by many of his countrymen for doing so. But his works were still popular, and his Nobel Prize was welcomed throughout the Arab world.Mr. Mahfouz, who almost never left Egypt, did not go to Stockholm to receive the prize but sent his daughters, Om Kolthoum and Fatima, to accept on his behalf. They survive him, as does his wife, Attiyat-Allah. A military funeral will be held for Mr. Mahfouz on Thursday at a Cairo mosque, with his coffin covered with an Egyptian flag and carried by caisson, The Associated Press reported. ▪ Zuqaq Al-Midaqq, 1947 – Midaq Alley – Midaqq-Kuja – Film El Callejón De Los Milagros / Midaq Alley, Dir. By Jorge Fons Starring Ernesto Gómez Cruz, Salma Hayek, and Maria Rojo, was Based On Mahfouz’s Novel But Set In Mexico City. ▪ Miramar, 1967 – trans. thank you thank you for the education and insights about mahfouz. note: first and ONLY Arab writer to get Nobel. don’t you think it’s about time Nobel overlooks their political taboos and awards Palestinian Mahmoud Darwish what he deserves — the title of “Second Arab Writer to receive Nobel Prize” ? You are very welcome. I am deeply saddened by the fact that the Arab world has lost such a talented and magnificent writer, and I truly hope that Naguib Mahfouz’s work continues to positively impact and inspire his readers worldwide. Mahmoud Darwish is also a tremendously gifted writer that deserves full recognition. I agree that he should also receive the Nobel Prize (see History in prose). Perhaps we can all write letters to the Nobel Prize Foundation to suggest his nomination?